MPC Shipping Insurance from Shipsurance - Why Shipsurance? We provide your store with highly discounted rates that are much less than the FedEx, UPS, DHL, and USPS coverage rates. This provides you with an increased revenue opportunity. 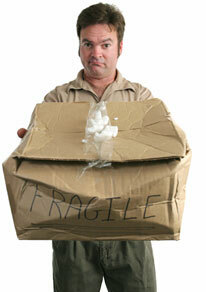 We DO NOT have co-insurance penalties that penalize you for under-insuring packages. We also cover your declared retail shipping costs. This ensures you and your customer are both made whole again in the event of a claim. If you require high value ($5,000.00 - $50,000,000.00) coverage for jewelry or fine art, Shipsurance offers coverage through our a certified partner. We provide coverage for customer drop-offs; another revenue opportunity! Claims can be filed via mail, fax, email, or our website. The status of your claims can be followed electronically via our website in real-time and you are assigned a dedicated claims representative. Once the appropriate paper work is received, a claim payment will be issued to you in an expedited manner. Shipsurance is fully integrated with PostalMate, RatePro, and ShipRite, making insuring your shipments with Shipsurance a transparent process. Once setup, you just print your label and declare values just as you are used to. Shipsurance is underwritten by an 'A' rated insurance company (Voyager). Shipsurance is also an approved AMBC Vendor and supports Retail Shipping Associates. Have questions? Our friendly staff is available via telephone, email, or live Internet chat to answer all of your questions.